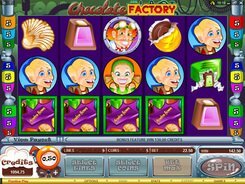 Microgaming and Doctor Chocolate welcome you to the candy world with a fabulous Chocolate Factory slot game. Join Mikky and Candy in their instructive and mouth-watering tour at the factory that produces world’s tastiest sweet treats. 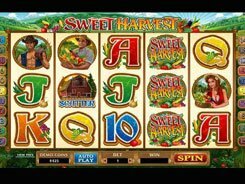 This five-reel one-line slot employs the symbols of Doctor Chocolate, cherry cream, chocolate coins, praline shells and other thematic symbols that can bring you great winnings. 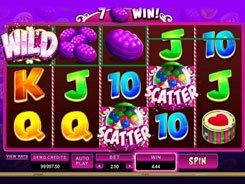 The slot accepts a maximum of five coins per line with an adjustable value of $0.05 to $0.5 each. The first coin jackpot is 8000 granted for five Doctor Chocolate symbols gathered on any enabled payline. The Doctor Chocolate is a wild that can turn into other missing symbols, except scatters, to build a combination. 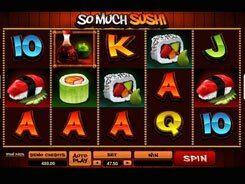 You are in for a pleasant surprise as the slot has two bonus feature games. One bonus feature is activated by three or more Bonbon symbols. In the Bonbon Bonus feature, you’ll have to pick candies out of the box. 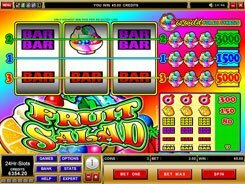 Each candy reveals a cash prize depending on your selection. If you hit upon a Collect item, the bonus round will be completed. 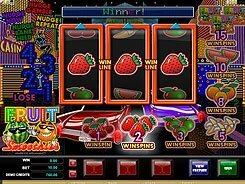 Another bonus game is activated by three Dunk-a-Treat symbols occurred on a payline. In the second screen, you’ll work as a candy manufacturer making a pick out of multiple flavors, including mint, coconut, cherry and orange, to dip it into a vat of chocolate. After making a choice, you get a cash win. PLAY FOR REAL MONEY!